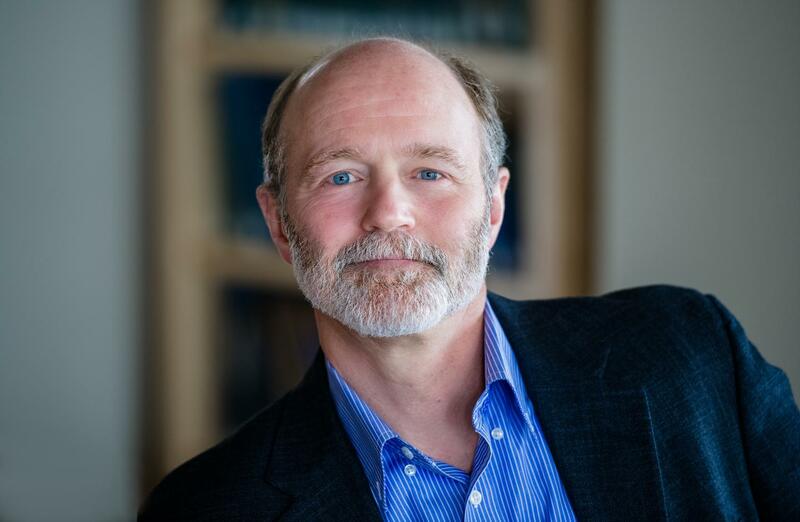 BAR HARBOR, MAINE – The MDI Biological Laboratory has announced that President Kevin Strange, Ph.D., has been awarded a five-year, $12 million National Institutes of Health (NIH) Center of Biomedical Research Excellence (COBRE) grant. The COBRE funding will support the continued growth and development of the Kathryn W. Davis Center for Regenerative Biology and Medicine, which was founded by Strange in 2012. Strange was awarded a $13 million Phase I COBRE grant in 2013. The highly competitive Phase II COBRE award reflects the research and faculty development successes Strange facilitated and oversaw during Phase I and the potential for the continued growth and development of the Davis Center for Regenerative Biology and Medicine under his direction. The 2013 COBRE designation established the MDI Biological Laboratory as a global leader in research on therapies to repair and regenerate lost or damaged tissues and organs and to delay the onset of age-related degenerative diseases. The designation has also inspired donations from individuals and foundations at a level that has been vital to the institution's growth and success. "We are delighted that the NIH has renewed our COBRE program and that peer reviewers ranked our proposal as 'outstanding'," said Strange, who serves as director of the COBRE and the Davis Center. "Over the past five years, the program has catalyzed the creation of a vigorous and self-sustaining research environment. With Phase II funding, we will be able to accelerate our efforts to develop new drugs to regenerate tissue and extend healthy lifespan." COBRE Phase I funding supported the early development of a drug candidate, MSI-1436, that activates the regeneration of heart muscle tissue after a heart attack and multiple other injured tissue types in animal models. MSI-1436 is now being developed by Novo Biosciences, a biotech company launched by Strange and MDI Biological Laboratory faculty member, Voot P. Yin, Ph.D., in 2013. Phase I funding also led to the discovery of two drug candidates with the potential to treat nerve injury caused by cancer chemotherapeutics and diabetes. Strange announced in 2016 that he will step down as president of the institution in July to pursue the development of MSI-1436 as CEO of Novo Biosciences and that he will continue to lead the COBRE program until a successor is identified. He is one of the co-inventors of MSI-1436 together with Yin and Michael Zasloff, M.D., Ph.D., of Georgetown University. The MDI Biological Laboratory's research focus in regenerative and aging biology was established by Strange when he assumed the presidency in 2009 in recognition of the importance of these fields to human health. He also implemented a unique research approach in which scientists study regeneration in highly regenerative animals in order to develop drugs to stimulate dormant capacities for regeneration in humans. The success of the institution's research approach was highlighted in the 2017 and 2019 budget request justifications to Congress by the National Institute of General Medical Sciences (NIGMS), which administers the COBRE program. "… the [MDI Biological Laboratory's] research has … immediate applications for healing tissues destroyed by heart disease, chronic wounds and musculoskeletal diseases," the NIGMS wrote in a recent "program portrait." "By studying regeneration in various organisms, [its] scientists strive to learn which molecules and genes might help us heal and regrow lost tissues." Another focus of COBRE Phase I funding has been the growth and modernization of Maine's economy through the creation of the Maine Center for Biomedical Innovation, a biomedical innovation hub and accelerator. "The COBRE program has created a vibrant research environment at the MDI Biological Laboratory with far-reaching impacts," said U.S. Sens. Susan M. Collins and Angus S. King in a joint statement. "The discoveries made by MDI Biological Laboratory scientists stand to benefit the health and well-being of the people of Maine while also serving as a vehicle for economic growth." COBRE Phase I funding supported the research programs and career development of early career scientists Vicki P. Losick, Ph.D., Sandra Rieger, Ph.D., Dustin Updike, Ph.D., and Voot Yin, Ph.D. All four of these young scientists successfully established their laboratories and received independent NIH grant funding. COBRE Phase I funding "provided me with essential research support and mentorship that enabled me to successfully compete in 2017 for an NIH five-year, $1.7 million 'Outstanding Investigator' grant award to support my studies on wound healing," Losick said. The Phase II award will fund the research of Sam Beck, Ph.D., who studies progeria, a rare disease that causes accelerated aging in children, to gain insight into normal aging; James Godwin, Ph.D., who studies heart and limb regeneration in the axolotl, a salamander with extraordinary powers of regeneration; and Jarod Rollins, Ph.D., who studies the regulation of gene expression during aging. "The COBRE program provides me with the freedom to pursue new ideas that are helping science close in on an understanding of how human health is regulated by the genetic pathways that govern longevity," Rollins said. "At the same time, it provides a safety net in the form of mentoring from Kevin Strange and support from the community of scientists he has helped to build that keeps me grounded in reality and allows me to stay right on track." COBRE funding is supported through the Institutional Development Award (IDeA) Program, whose goal is to foster research capacities in states such as Maine that have historically received low levels of funding from the NIH. We are pioneering new approaches to regenerative medicine focused on developing drugs that slow age-related degenerative diseases and activate our natural ability to heal. Our unique approach has identified potential therapies that could revolutionize the treatment of heart disease, muscular dystrophy and more. Through the Maine Center for Biomedical Innovation we are preparing students for 21st century careers and equipping entrepreneurs with the knowledge, skills and resources needed to turn discoveries into applications that improve human health and well-being. For more information, please visit mdibl.org. Is risk for endocrine disease higher in survivors of cancer in adolescence, young adulthood?